Your business needs a functional, beautiful, and current website. That shouldn’t come as a shocker; 88% of US citizens now regularly use the internet, spending almost 3 hours per day online using their mobile device or desktop computer. But before you rush to build a website that both attracts and delights your audience, take a step back. Web development is not a one-time project, which you can stop worrying about once your website is published. Constantly changing variables, like web development trends, user expectations, and regular maintenance, mean that leaving your website alone after it’s first developed can be a crucial mistake. Instead, whether you’re thinking about building a website or already have one in place, you need a strategic support and maintenance plan for your website. Don’t believe us? Here are 6 reasons why. The internet has been a constant in our lives for more than a decade now. More than 1 billion websites exist on the world today, and our constant exposure to them has made consumers and business customers alike develop high standards for what a website needs to accomplish. If, for example, your website takes 4 seconds to load, 25% of potential visitors will leave before ever seeing your home page. The same study estimates that if you sell your products on your website, every second in page load delay can lead to up to $2.5 million in annual lost revenue. Of course, these problems increase exponentially if your website doesn’t load at all. If you want your website to fulfill visitor expectations, and get as much attention and goodwill as possible for your business, you need a consistently functioning website. For that, you need a support and maintenance plan. You never know what might happen after you go live. A website that functioned perfectly for a month may unexpectedly go dark for an hour. A website built on a template may succumb to security risks, while a custom-built one may suddenly exhibit issues in its base code. Even the most well-built websites cannot be expected to function perfectly for an unlimited time. Anyone experienced in running a website over a long period of time knows: unexpected issues will arise, and only businesses prepared for them as they occur can prevent these issues from turning into major problems. That, in turn, necessitates a contingency plan. Strategically planning for some of the above issues, while having a ‘Plan B’ in place in case something unexpected goes wrong, helps plan for the worst. The internet as we know it is a fluid entity. Nothing ever stays the same; just take a look at popular current websites using the Internet Archive’s Wayback Machine, and you’ll be baffled by the amount of changes the most successful websites in the world have gone through over the years. Many of these changes are not comprehensive redesigns, but simple updates that added up to something much better. For example, as smartphones and other mobile devices have increased in popularity, the need for responsive design has become more evident just as development tools like Flash have fallen out of favor. This fluidity, in turn, requires a plan to not just build your website, but keep it updated in the long term. Of course, you cannot anticipate future changes, so you shouldn’t try to plan for all possibilities. But you should know the basic outline of changing features within your website as the need arises, in order to keep your website up to date. Just as the internet does not stand still, businesses constantly evolve. Over time, you may offer new products or services, or shift the audience you’re targeting. That, in turn, requires an update to your website you may not have accounted for when you first built it. Fortunately, a support and maintenance plan can help you account for that possibility. Simply build in language related to potential functional and design updates, so that if and when the time comes, you can adjust your website easily and strategically. All of the above are changes that are relatively reactive. Something happens, so you adjust your website accordingly. But the most successful maintenance plans are actually proactive, accounting for an issue before it actually arises. For instance, your maintenance plan may include a strategy to regularly test your website for issues in the code, which can help you spot and fix problems before your audience does. It can also include a plan to regularly conduct usability testing to make sure that your audience remains happy with your web presence. The final, but certainly not least important reason for a web support and maintenance plan is just how easy it is for you to put into place. It may, at first, seem daunting. After all, you might not know what all to include, and how to update your website or troubleshoot any issues as required. Fortunately, there are ways around that predicament. If you choose a web development firm that also offers maintenance and support services, for example, you are already in touch with professionals who know your code and can help you whenever needed. 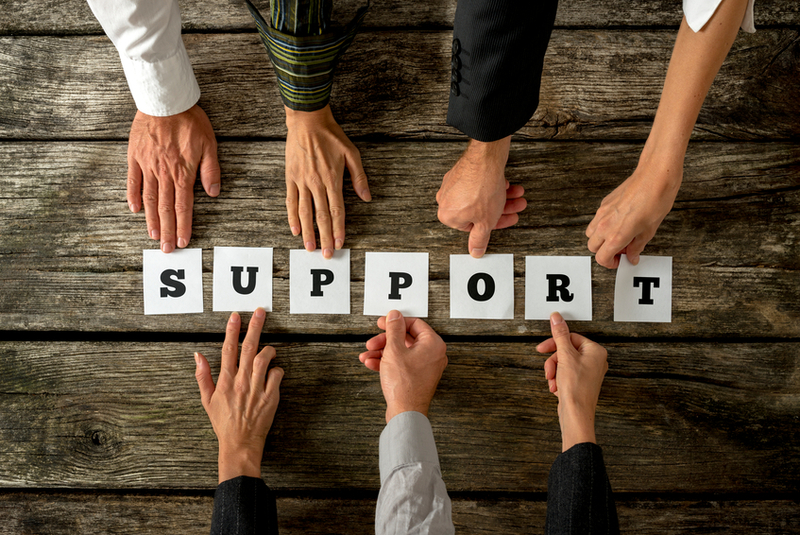 But even if that is not the case, help is easily available to both build your maintenance plan and get the support you require as the need arises. For example, DataPerk offers affordable web maintenance and support services that could be a perfect fit for your business. To learn more about our services, and how we can work together to not only build your website but keep it running successfully for both you and your visitors, contact us.